The unrollSafely() method in MemoryStore will progressively unroll the contents of a block iterator into memory. It works by reserving an initial chunk of unroll memory and periodically checking if more memory must be reserved as it unrolls the iterator. The memory reserved for performing the unroll is considered "pending" memory and is tracked on a per-task attempt ID bases in a map object named pendingUnrollMemoryMap. When the unrolled block is committed to storage memory in the tryToPut() method, a method named releasePendingUnrollMemoryForThisTask() is invoked and this pending memory is released. tryToPut() then proceeds to allocate the storage memory required for the block. 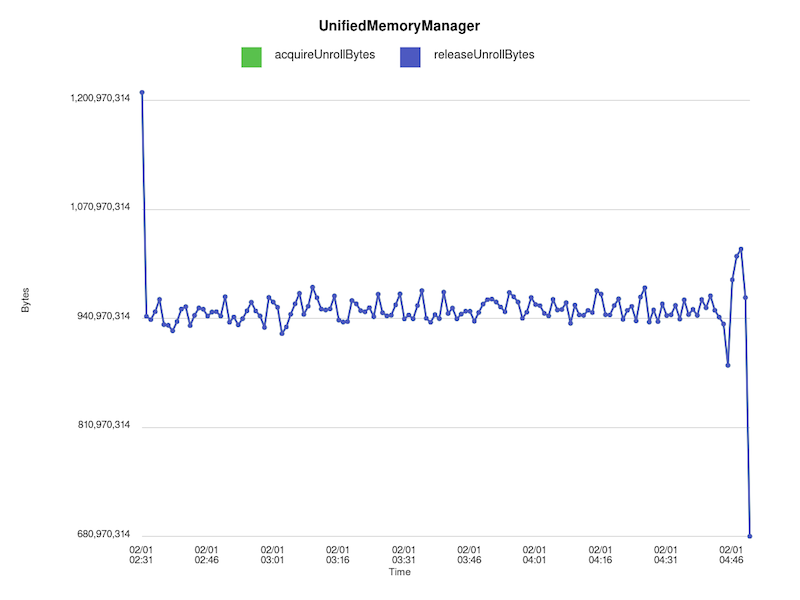 The unrollSafely() method computes the amount of pending memory used for the unroll operation by saving the amount of unroll memory reserved for the particular task attempt ID at the start of the method in a variable named previousMemoryReserved and subtracting this value from the unroll memory dedicated to the task at the end of the method. This value is stored as the variable amountToTransferToPending. This amount is then subtracted from the per-task unrollMemoryMap and added to pendingUnrollMemoryMap. 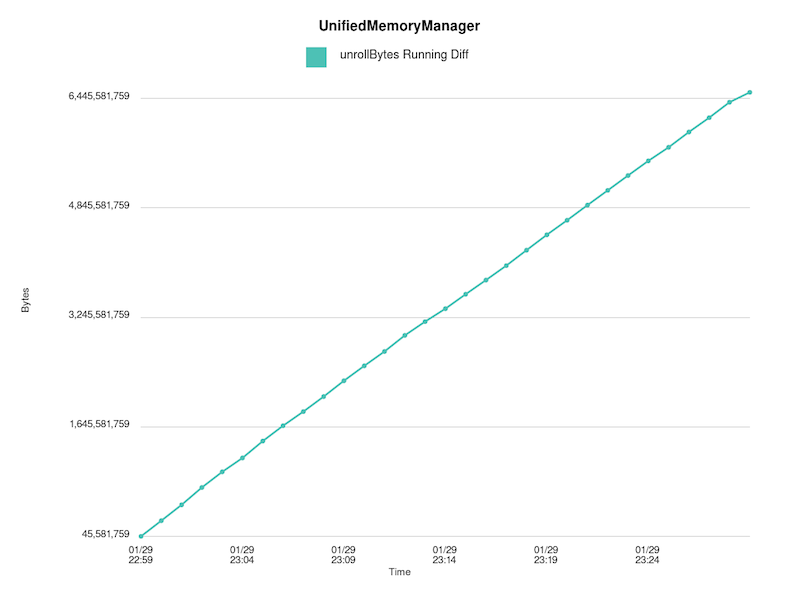 The amount of unroll memory consumed for the task is obtained from unrollMemoryMap via the currentUnrollMemoryForThisTask method. In order for the semantics of unrollSafely() to work, the value of unrollMemoryMap for the task returned by currentTaskAttemptId() must not be mutated between the computation of previousMemoryReserved and amountToTransferToPending. However, since there is no synchronization in place to ensure that computing both variables and updating the memory maps happens atomically, a race condition can occur when multiple threads for which currentTaskAttemptId() returns the same value are both trying to store blocks. This can lead to a negative value being computed for amountToTransferToPending, corrupting the unrollMemoryMap and pendingUnrollMemoryMap memory maps which in turn can lead to the memory manager leaking unroll memory. 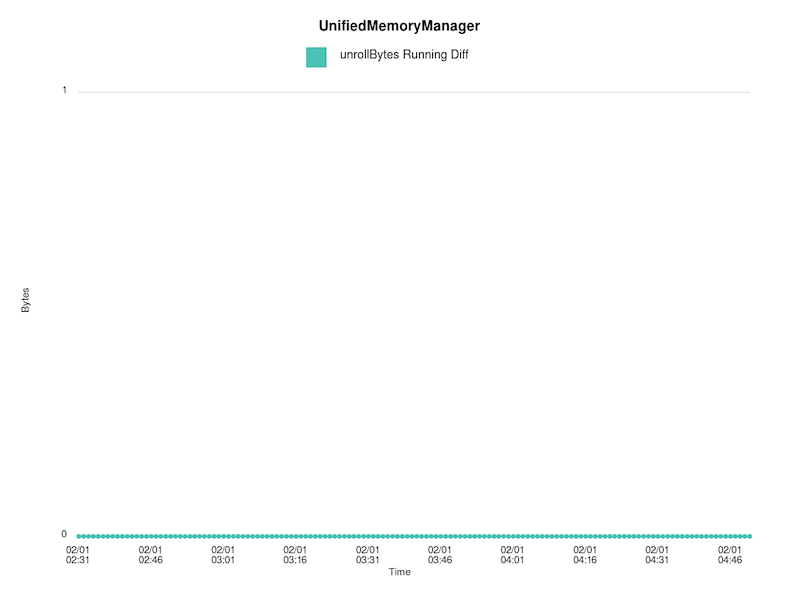 In this example, we end up leaking 2 MiB of unroll memory since both Thread 1 and Thread 2 think that the task has only 1 MiB of unroll memory allocated to it when it actually has 3 MiB. 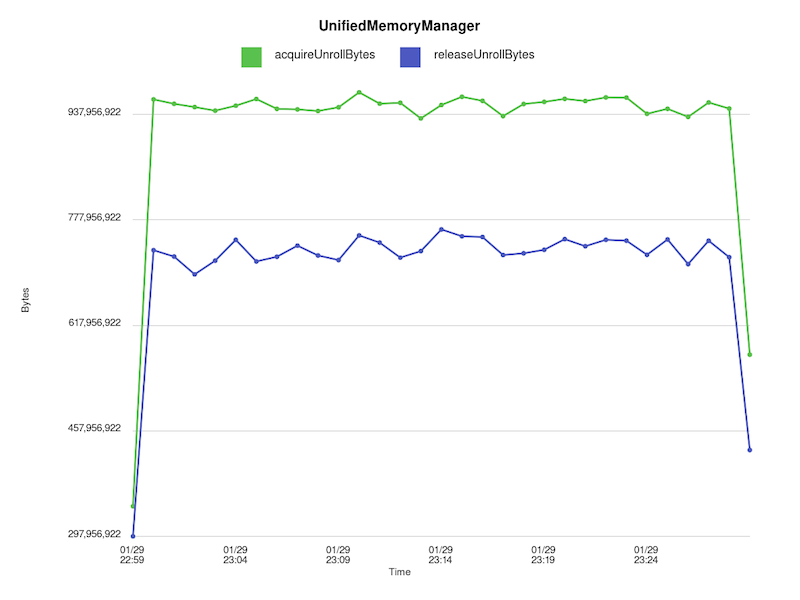 The negative value stored in unrollMemoryMap will also propagate to future invocations of unrollSafely().